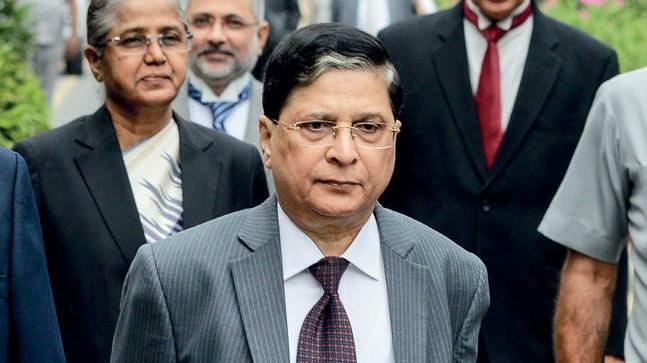 In a recent apex court plea by The Wire the Chief Justice of India Dipak Misra reminded journalists that they can’t write as pore their imagination and deliver sermons like the “Pope sitting in a pulpit”. This was a very important case in which very high profile persons were involved. The son of Amit Shah, Jay Shah is involved and therefore there was a great deal of interest in the case. Apart from other considerations, the high political tensions prevailing in India and that too on the day next when the by elections in Gorakhpur and Phupur and even from Bihar were out and the first shock defeats of the ruling party were uppermost in the minds of the countrymen. So, the very case and also the very casual observations, we think of the CJI were taken in very different meanings by all the interested persons and groups. CJI’s every word and utterance has the power of the law and has many implications. So, every word counts. Media freedom too is not a simple word or phrases either. Also the timing is crucial. CJI’s remarks came at a most vulnerable time for the BJP. Is this the freedom of the humble scribe, the paid employee or the pay master’s very many needs? And nowadays, media functions have become very sensitive issues. How many people in India know that in recent years there have been much violence and murders of journalists and writers? There is enough statistics to show that we can’t take media freedom lightly. And also, the very face of the media culture, the industry, and the new investors in the media are all undergoing changes. Expressing opinion freely is not yet a reality in the Indian context. So, we need more careful discussion. The editors’ guild and the newspaper associations seem to be lying low. We may be wrong and we stand corrected. Let experts speak out. For newspaper owners, the traditional conservative medium today how the news appeared. We just looked at three major newspapers, one established for long in Madras, one established in Bangalore and the one established as the dominate paper in Mumbai, how they reported this very important court proceedings? The most conservative one from Madras left out the news on the next day, Thursday! The one from Bangalore reported the news in full. The news appearing in the Mumbai edition and its regional editions, the one from Bangalore, we read the news where the full report was not there. Only in the Bangalore edition, the use of the term “Poe in a pulpit was reported. All these small details matter in such a sensitive case for the reputed lawyers, the countrymen know are very expensive talents and a small media like The Wire can’t engage them normally, right? What does this convey? It shows the importance of the case and also the issues involved and also the combatants and what they represent by way of ideas and ideals. You see the media industry is thriving in some areas and also face resistance in some other areas. First, the government media is really gagged to borrow from the CJI’s observations. The citizens have no way to know of what the government does from either the Doordharsan or from the very functioning of the Prasar Bharati. So, where the government media is gagging the news from a liberal point of view what islet? Second, the electronic media on which the CJI concentrated, is now controlled, some of the channels, including the most popular ones are controlled by big business. So, this class of channels too are afraid of the government. What is left out now? Only one or two rare and daring individuals who want to feel free to report and comment in an unrestricted atmosphere. So, what space such rare individuals can do? Already one or two such individuals facing torture by the vested interests. So, we feel like telling that the real media freedoms come or possible for only “those who dare and act success comes, success possible. Such rare and dare individual comes also rarely. Not every day you can see such light to d shine on the otherwise highly controlled society and the country. At the international level too India doesn’t rank high in the media freedom. So, what conclusions we can draw? We have to live like this with fear in the hearts and consternation in our thoughts we have to live the life of second class citizens? Who cares for such fears and thoughts? There has to be a wide debate about the sort of ideologies the political parties subscribe nowadays? It is all power grabs that captures the eyes. The Rajya Sabha is fast turning into rich men’s club and no one cares or asks questions. Also, the reporting from New Delhi is becoming sketchy and unreliable as we have pointed out here itself. May be the role of social media and the fake news etc must lead to expert debates on the very like future of media freedom we often routinely talk about when we superficially claim a big role for India’s democracy. In the world itself we see the rise of authoritarian tendencies in all major countries. So, we say: It is at the end of the day, it is the public perception, it is the public opinion, however restricted and however government-directed that matters. So, we ask the public to form their own opinions and draw their own conclusions. Media freedom in India is at the crossroads, to put it as a cliche. There are risks and dangers ahead. There are temptations for moving in a fascist fashion. Fear can be easily injected into the political system. Please resist, please allow some more freedom of action and noise from the people. Let us all realise that rallies like the kisan rally to Mumbai from Nashik was a positive sign. All parties concerned, the kisan, the organisers, the state government, all behaved in an exemplary manner. Mubaikars, the public, the youth, the helpers all spontaneously to the event. This is tolerance and expression of freedoms of the people.